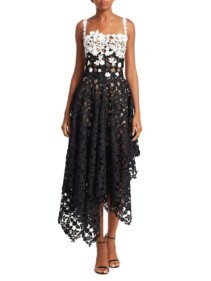 If there’s ever an event at which you need your party dresses to stand out, it’s the Venice Carnival. 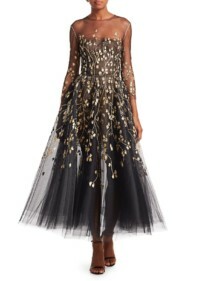 In a sea of masks, theatrical ball gowns and various other decadent costumes, these dresses will assert your presence. 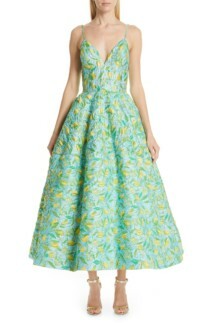 Make a bright and beautiful entrance in the floral evening lemon dress by Christian Siriano. With a favorable fit and flare silhouette, this striking dress is decorated with an incredibly charming and vivacious lemon print. The fitted bodice sits atop a wonderfully voluminous skirt that’s ideal for this dramatic occasion. Additionally, the sweetheart neckline and delicate spaghetti straps create a beautiful and elegant shape for the bodice. Another attractive and uncommon feature of this dress is the useable side-seam pockets. 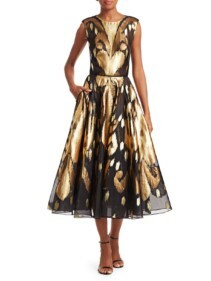 Styling this dress with stiletto heeled sandals provides the perfect finishing touch. Considering the icy February climate you may wish to opt for a gown with sleeves. In this case, we highly recommend the Flora red dress by Retrofete. The wrap style of this theatrical gown shapes and flatters the figure whilst the reflective red lamé fabric demands attention. 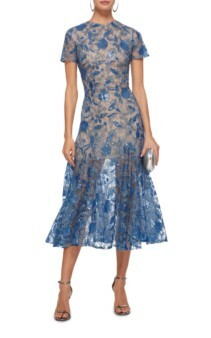 The ruched shoulders and ruffle trim add a contrasting structured and ultra feminine finish. Seeing as the Venice Carnival itself exudes luxury and decadence, these sumptuous velvet party dresses are absolutely ideal. 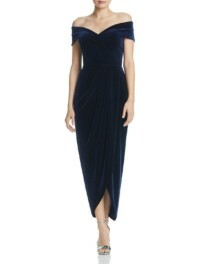 Elevate your style in the off-the-shoulder velvet navy gown by Aqua. 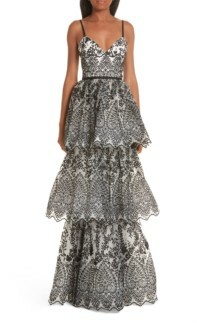 The draped cross over skirt provides a romantic, ultra stylish vibe for this undeniably sophisticated dress. 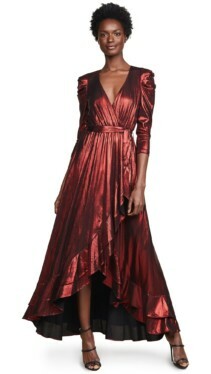 In addition, the plunging heart-shaped neckline is the perfect feature to add some not so subtle drama. If it’s true elegance you’re looking for, the one shoulder teal velvet midi dress by Self-Portrait is for you. This fully lined, expertly designed dress wows with its contrasting green and teal velvet, thigh-high split and ruffle trim. 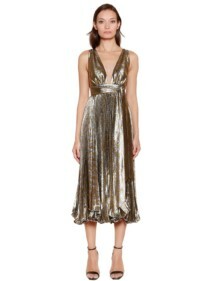 This is the perfect party dress to celebrate in right through to the early hours.